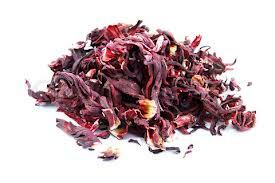 Hibiscus flowers can be found dried in your bulk spice section at the grocery store. They are often used in tea and have been toted to have medicinal uses such as lowering blood pressure, soothing a cough, and increasing liver function (I cannot confirm nor deny these properties). These flowers have a lovely floral lemony flavor, which means lots of flavor for your dressing- so you won't have to use as much on your salad (saving on calories). Combine lemon and lime juice, vinegars, and honey in a small blender and mix until well combined. Add in hibiscus flowers and allow flowers to soak for 30 minutes. After 30 minutes, blend on low speed and gradually add olive oil. Mix in salt and pepper and blend. Place in a covered jar in refrigerator overnight prior to using.